Dyersburg, TN – For over 30 years, Rough Country has been a manufacturer of top quality suspension lift systems and is now proud to introduce its’ new line of Jeep Body Armor. As Jeep owners increase the off-road capabilities of their vehicles, critical components and body points become susceptible to damage. Rough Countryâ addresses these issues with its’ new Jeep Armor line, which is designed and constructed for off-road durability. The ultimate in vehicle protection! Constructed of heavy-duty 1.5" powder coat steel tube and ¼” laser cut mounting plates. Complete with 8 stainless steel bolts for solid mounting of each body side. 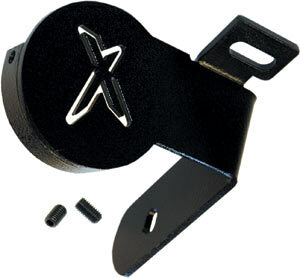 The RCX Rock Slider works to keep the rocks away from the body and can be used as a rotating point for obstacles and a jacking point if needed. Available for the Jeep YJ and TJ. Differential covers are easily damaged by off road obstacles. 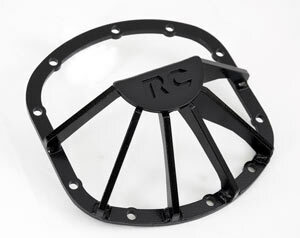 Constructed from ¼” steel the RCX differential guards protect your axles from the hazards that can damage your differential. Diff guards are currently available for Dana 30 and Dana 35. Dana 44 will be available in the very near future. A Jeep’s steering box can be one of the first and most important parts to come in contact with obstacles while off-roading. Protect it with Rough Country’s RCX Skid Brace. Constructed from ¼” steel this laser precision cut bracket increases stability on the power steering box, as well as, protect it from rocks and other obstacles. Available for the Jeep TJ. Formed in early 1970’s, Rough Country Suspensionâ Products was one of the founders of the off-road industry and today is one of the fastest growing manufacturers and marketers of lifted suspension packages and off-road accessories for both 2wd and 4wd trucks and SUVs. Rough Country Suspensionâ Products is owned by Heckethorn Productsâ. Heckethorn Productsâ has a storied history in the automotive aftermarket that includes inventing the first steering stabilizer for military Jeeps in the 1950s. As a complete supplier, Rough Country Suspension Products offers retailers, jobbers, and consumer direct customers an opportunity to purchase the products that the market is demanding. For more information on the new line of Jeep Armor accessories, please contact Rough Country Suspension Products at www.roughcountry.com or call 800-222-7023. You may also contact an authorized Rough Country dealer. To find an authorized Rough Country dealer near you, please visit the “Dealer Locator” link at www.roughcountry.com.